How’d you get into football? My family have been playing football all their lives, so it was only natural. I started playing when I was four-years-old, locally for fun and things just progressed from there. Who has been your major influencing in football? A Youth coach I had in Sydney, Ivan Blazevic. Also, my football idol Tim Cahill, he’s an Australian who proved he can cut it in the top league in the world. Since you’ve moved to Italy, how’s the transition been? It’s never going to be easy moving as a 15-year-old to a country where you don’t speak the language and don’t know anyone. But thankfully the club’s been very helpful. They assigned a person to me, who spoke fluent English. Helping with school work, training schedules and everything in between and it’s made it a smooth transition; now I’ve learnt the language, made friends and progressed in my football. What challenges have you faced at Atalanta so far? Mostly off the field challenges. Coming as a 15-year-old to the other side of the world, it’s not always easy being accepted into the group. At the start, you feel a little bit left out not knowing the lanaguage and not knowing how to communicate to the other boys and coaches. But with time and experience, I was slowly accepted and being able to speak Italian also helped. Main challenge was being accepted into the Italian culture. Being accepted into the Italian culture’s been tough, as you said. Who’s been a mentor like figure for you? My mentor would have to be James Troisi, he’s in the first team in Atalanta and he’s a player I admire a lot. He’s really helped me settle in, although I was here before him, it’s been a great help having someone higher up the team. How’s your compatriot James Troisi helped you settle? First of all, off the pitch it’s been nice to know there’s another Australian living here in Bergamo. Makes you feel less lonely, and on the pitch he’s helped when I’ve been called up to first team training sessions. Helping me understand some of the drills we do, and kind of what the coach expects from the players. Also, speaks Italy well, so he’s translated a bit for me. He’s now become a very good friend of mine. What comparisons in terms of coaching have you found in Italy? For me, there’s no comparison. I came to Italy and all of a sudden my coach is a former Serie A player, who five years ago was playing top flight football. The biggest asset here is repetition. Coaches will get you to repeat and repeat until you’re bored out of your brain. But it gets results, and improves players. Have you noticed any changes of how youth football’s played in Italy and Australia? The main difference is football’s much more technical then in Australia. There’s higher focus on tactics here in Italy, for example, we’ll spend 45 minutes of a training session just on tactics. What to do when the ball is played there, or when to press and when not to. How’s the training regime in Italy been in comparision to Australia? It’s much more intense. We’re training three hours a day focusing on every part of football from the physical to the technical and the tactical. Also, we’re doing mental coaching here in Italy. In Australia, if we are to progress as a footballing nation we need to up the ante. Competition needs to be higher for positions and for places in a squad, for any improvement to occur. What are your short term aspirations? I’ve got the Italian National U21’s finals coming up. My aspirations are to have a good personal tournament and for the team to come out on top. 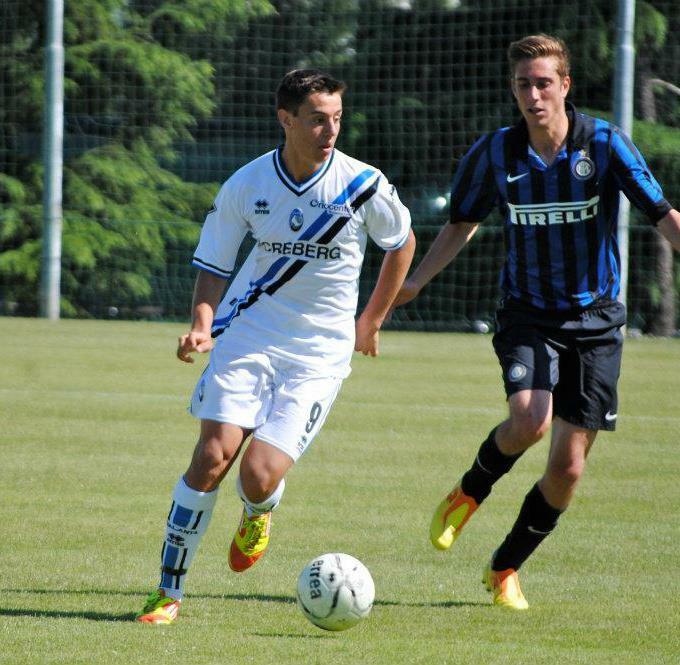 Also, to work hard to break into the Atalanta first team. What style of football suits you most, and what type of footballer are you? I’ve always felt most comfortable playing a technical short passing game. Where there are players moving off the ball, and there are a lot of options available. This favours my game, because I like to think of myself as player who can create opportunities as well as take them – in an attacking midfielder role. Where have you developed most in your game? Biggest change since moving to Italy has to be the speed of thought required here. In Australia, when you receive the ball you’ve got time to look up, think about your options for two or three seconds. Whereas in Italy you’ve got to think three or four passes ahead that alone is a hard thing to get your head around. Would you advise young Australian footballers to move abroad as early as you, or spend their formative years developing in the A-league and then move on? They’re both great options. It differs in which type of player you are; of course you can go on the path of Mustapha Amini and the likes. But for me, I thought the earlier I get to Europe and start developing, the best chance I’ll have of becoming a great footballer. If I spent another two years in Australia that’s two years of time I would’ve lost when I could’ve been in Europe, developing with the top coaches and other top players around. Do you think Australian coaches should travel overseas to expand their coaching methods? It’s a great option for Australian coaches. With a bit of European experience, coaches will quickly find out what it takes to cut it at the highest level. After the experience, going back to Australia you’ll know the qualities a top coach needs. You said, you’re pushing for a first team place next season. Where would you most like to play? Atalanta’s the first choice. Being at the club and contracted with the club, they’re first choice. But if things look tough for a first team place, I’ll at other options outside of Atalanta; maybe a loan deal or something along those lines. What’s been the standout moment in your career so far and why? It’d be the trial I had for Atalanta; I went for in Northern Italy. We were playing against the likes of Chelsea and Arsenal, basically the top youth teams around the world. I had a great tournament, scoring a couple of nice goals – one against Chelsea. After that Atalanta put the contract on the table and I signed on my 16th birthday. Another moment was a friendly match against Livorno’s first team. I came on at the second half scoring a goal. It was the first game I played on live TV, it was nice moment. 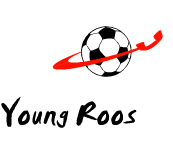 Ahmed’s the sole writer of the soon to be critically acclaimed Young Roos. He’s on Twitter too, @ahmedyussuf10. Give him a follow. ← What’s the right move for Young Australian footballers?